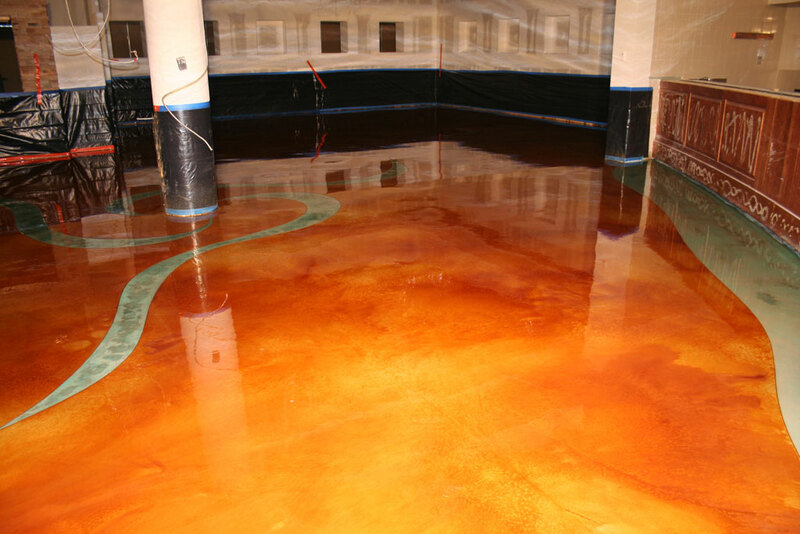 Chows restaurant, in Rio Rancho New Mexico, started off as a old painted floor. 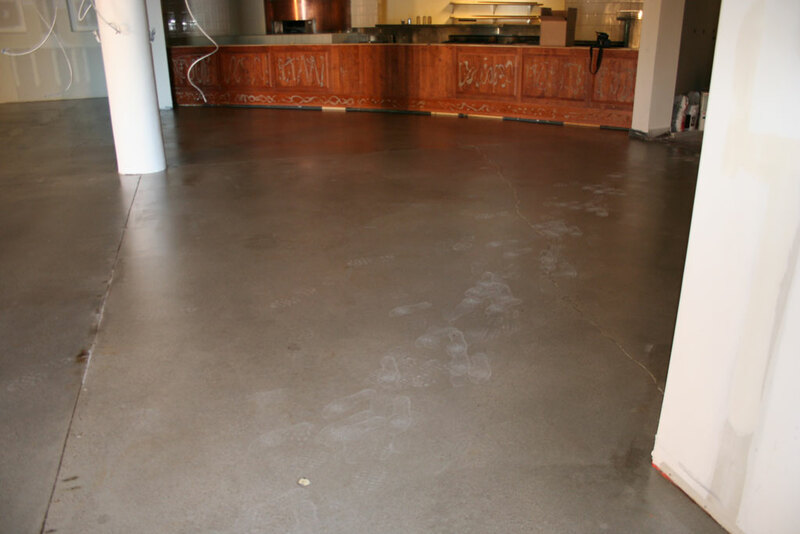 The coating was diamond grinded off and the floor left to proper profile. Then installed was a Microtop Coating so we had a new surface pallet. We then saw cut in decorative designs and chemically stained. 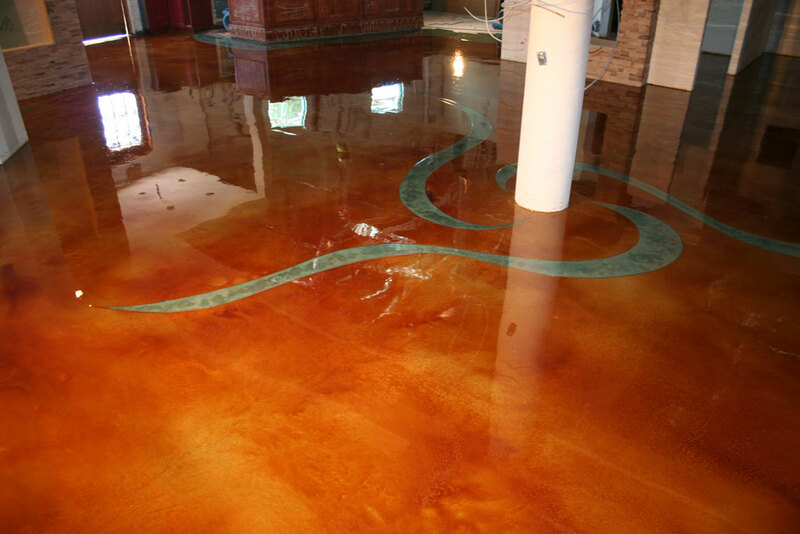 Then a series of epoxy coatings were installed for durability.